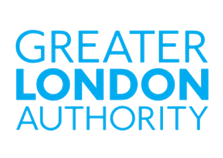 This dataset contains ethnicity pay gap figures for the GLA and estimates for all employees in London. The ethnicity pay gap is the difference in the average hourly wage of white employees and employees of other ethnicities across a workforce. If non-white employees do more of the less well paid jobs within an organisation than white persons, the ethnicity pay gap is usually bigger. This dataset is one of the Greater London Authority's measures of Economic Fairness. Click here to find out more. Ethnicity pay gap statistics or London and UK calculated using earnings data from ONS's Labour Force Survey.